Harald Blüchel was born at 19/Feb/1963 in Nürnberg, a classically trained concert pianist who began at the Nürnberg Conservatory at the tender age of 7, he has been composing pieces for synthesizer since discovering Tangerine Dream and Kraftwerk in 1980. In 1987, continuing musical studies, Cosmic Baby moved to Berlin and entered the Art Academy, composing experimental music on a Fairlight computer. At the Technical University, he studied sound engineering, learning the technical side of music production. In 1991, Blüchel first appeared as “Cosmic Baby” in live acts. That year he signed with trance label MFS, where he released his first album Stellar Supreme in 1992. In 1992 he also paired up with Paul van Dyk for the project “The Visions of Shiva” under which name two EPs came out, Perfect Day (1992) and How Much Can You Take? (1993). The two then later went their separate ways. In late 1993, Blüchel left MFS and signed onto Logic Records, a record label owned by BMG. At the beginning of the 1990s, Blüchel formed Energy 52 with Kid Paul. In 1993, Energy 52 released “Café del Mar“, which is considered to be a trance classic and one of the most remixed songs in electronic music. In 1994, Blüchel released his single “Loops of Infinity” which stayed in the top 30 of the German charts for three months. In April 1994 he released his second album Thinking About Myself. He later also created a soundtrack for Futura, a musical dance act. This soundtrack features some material from Thinking About Myself and was released under the name Cosmic Inc. in 1995. Another soundtrack, Musik zu Andorra, for the stageplay Andorra by Max Frisch, appeared in 1997. 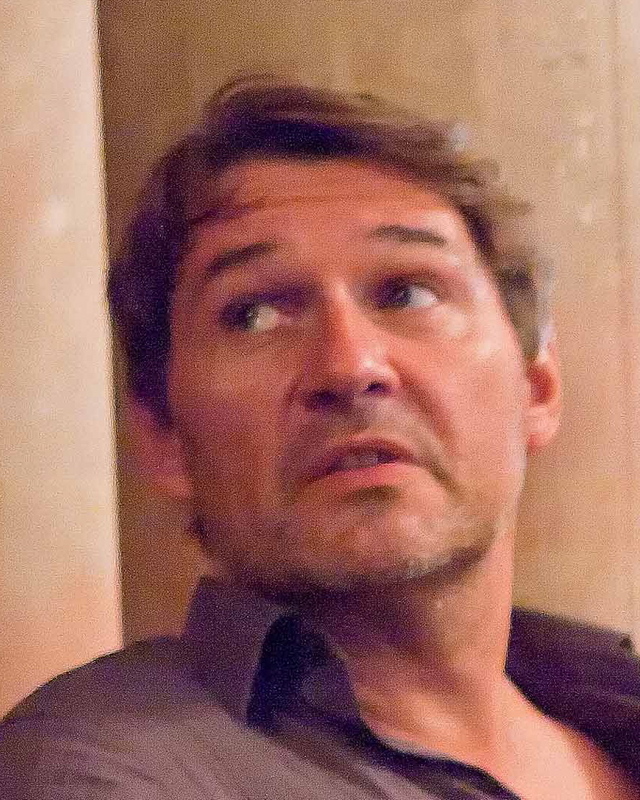 Blüchel decided to become a music publisher and founded Cosmic Enterprises in 1994; he then created his own label Time Out of Mind Records in 1995. The third full-length album Fourteen Pieces was released in 1996, the fourth album Heaven followed in 1999. Throughout the late 1990s, Blüchel would perform as a DJ in the United States, Mexico and other places around the world. Blüchel later started collaborating with Christopher von Deylen. Together they released two albums as Blüchel & Von Deylen in 2004: Bi Polar and Mare Stellaris. After this, Blüchel began releasing works under his real name, more ambient-like, minimalistic and experimental than his works as Cosmic Baby. The albums that appeared in the following years were part of the “Zauberberg” (“Magic Mountain”) trilogy. Meanwhile, Blüchel also made a come-back as Cosmic Baby with the release of the album Industrie und Melodie at the end of 2006. COSMIC BABY’s Techno-Remake about VANGELIS Filmmusic “Blade Runner”. Originally composed by Vangelis for the cult film Blade Runner .